Amid the throngs at the January 2009 inauguration of Barack Obama, two groups of entrepreneurs were there not just to witness history but to make it. Brian Chesky, Joe Gebbia and Nathan Blecharczyk were in the national mall that day, promoting a website called Airbed&Breakfast.com. Meanwhile Travis Kalanick and Garrett Camp sat with friends in seats above the inaugural platform, discussing an idea for a startup that the world would soon know well: Uber. It was the beginning of a technology revolution that would unfold over the next eight years, connecting strangers via smartphones, changing the way people travel inside and between cities and challenging how governments think about regulating business. Controversy, conflict and enormous wealth would follow these upstarts in their unrelenting expansion around the globe. 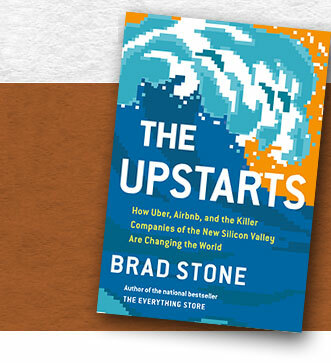 In the same spirit as his best-selling THE EVERYTHING STORE, Brad Stone uses unprecedented inside access at Uber and Airbnb to chronicle the giants of momentous new business age, as well as the charismatic and contrarian CEOs that are behind it.